Milan Fashion Week toasted the publication of VOGUE - VOICE OF A CENTURY with a special event at 10 Corso Como, one of the city's finest fashion and design stores. Alexandra Shulman presented the book to a local and international audience that included VOGUE - VOICE OF A CENTURY contributors Stephen Jones and Manolo Blahnik as well as Anna dello Russo, Andrea Inconti, President of Italian Chamber of Fashion Carlo Capasa, PR entrepreneur Karla Otto and 10 Corso Como's owner Carla Sozzani. The shop was specially arranged on the night to showcase the book in front of a series of beautiful prints from the book to create an artistic setting for the launch. 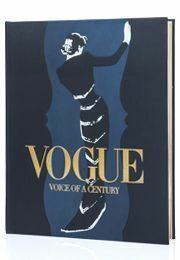 10 Corso Como is the exclusive partner for VOGUE - VOICE OF A CENTURY.